Sahrawi Arab Republic - Click on the map to get a enlarged image in PDF format! The population data in the table below is a estimation for 2007. 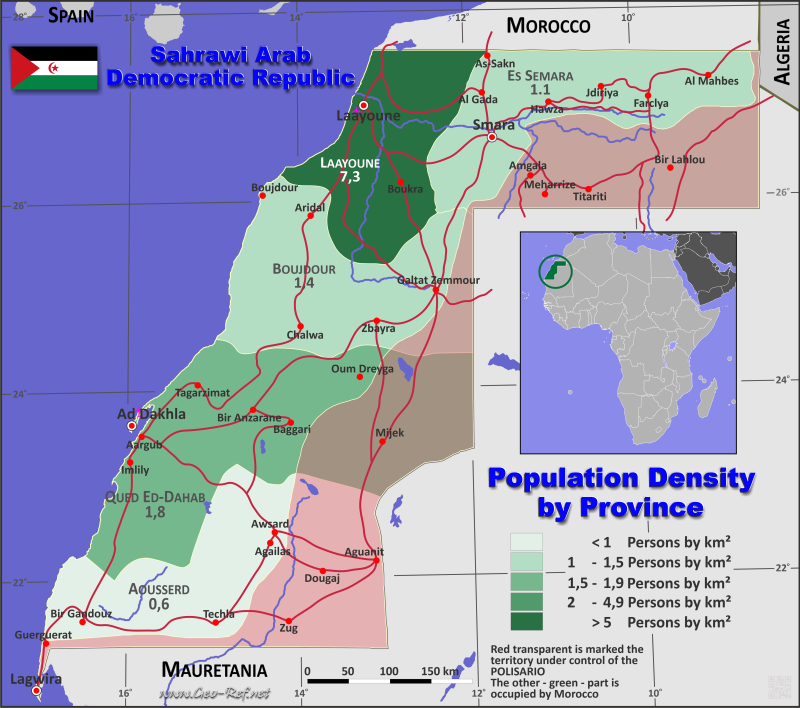 The information about the Republic Sahrawi is very difficult, there are not so much detailed information. As source we have used mainly Spanish sources and other third internet information.